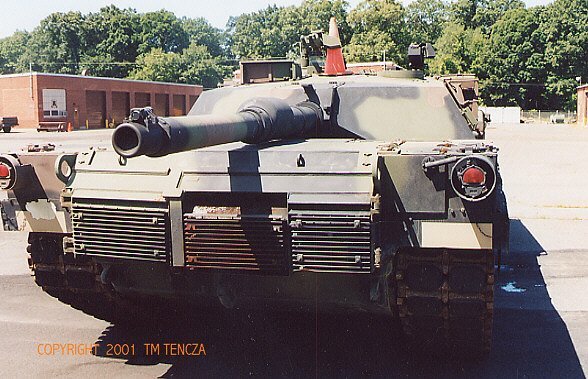 This improved model of the M1 mounts a 120mm Rheinmetall smooth bore cannon which can fire various types of ammunition especially the M829A1 APRSDST (kinetic energy round with long rod penetrator known as the "Silver Bullet"). This model is equipped with an NBC overpressure system and increased armor protection including DU (depleted uranium). 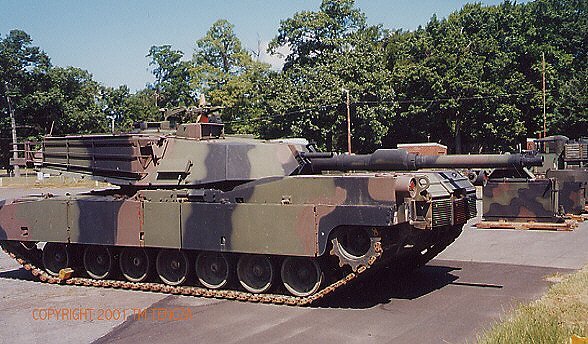 This tank is extremely fast and powerful and proved itself during the Gulf War where it could engage enemy armor at ranges up to 4000 meters. 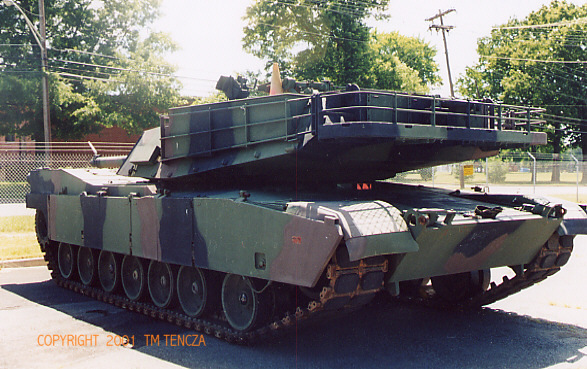 It utilizes a stabilized gunner's digital computer fire control system with laser range- finding and thermal imaging capabilities permitting engagement in all weather conditions. Ammunition is stored in an armored compartment with special "blow out" panels. It is equipped with a Halon fire suppression system. The M1A1 is being replaced by the M1A2. Negatives include high fuel consumption and effective filtering of the huge volume of air used by the turbine engine without overloading the filters.